Elena, almost eighteen months old, loves to collect acorns. A grand oak tree, on the church property across the street from her home, provides perfect hunting grounds. She trundles along the edge of the sidewalk, her eyes on the grassy edge. Now and then she bends over, chooses a prime specimen, and clutches it tightly to her chest. Yesterday was a banner day for acorns. Way too many shiny nuts with perfect caps. Her little hands couldn’t carry them all. I was given the honor of transporting a few of her treasures home. And this opportunity became the starting point for a train of thoughts. You’ve no doubt noticed this yourself: Acorns do not appear capable of producing oak trees. They’re too small and too hard. How can the seeds inside even escape those tough shells? Yet given the right soil, the right climate, and plenty of time, the miracle of growth occurs. 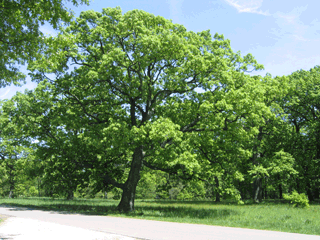 White oak trees can reach the height of 150 feet, growing twelve to fourteen inches per year. 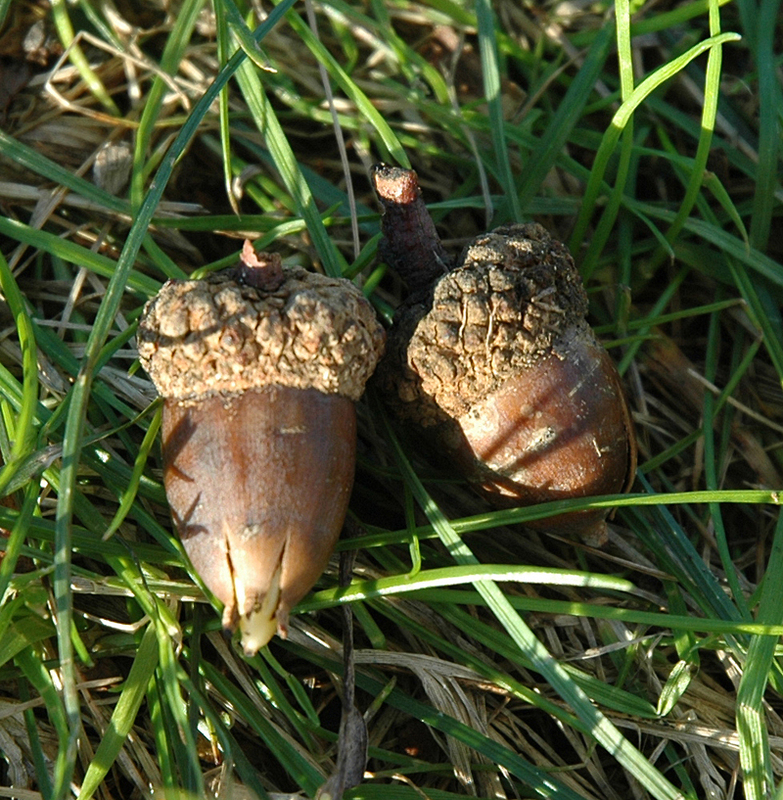 Acorns do not appear until the twentieth year. 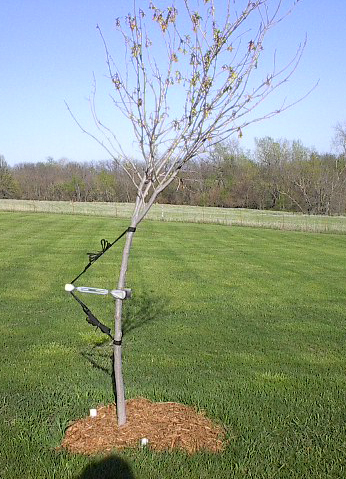 In the end, the majestic giant provides hundreds of benefits (www.arborday.org and http://www.ehow.com). Now a few tall plants, like bamboo, grow very quickly. But not tall, strong trees. I wonder why? We humans are also slow-growing–in body and spirit. And I wonder about that, too. Why didn’t God make us more like bamboo, able to reach maturity quickly? Instead, we progress through a protracted, sometimes painful, learning process to become “mature, lacking in nothing” (James 1:4). Perhaps God willed our development to happen slowly so we have many opportunities to follow his chosen path and fulfill the potential he’s especially prepared for each of us. A false step in the wrong direction can be corrected, just as a crooked tree can be straightened if attended to promptly. Yes, there are those who choose not to mature, not to participate with God. But we know that God is good, that what he does is good. I want him to train and teach me (Psalm 119:68). My guess is you feel the same. Day by day, choice by choice, we can progress along the spectrum from self-centered to selfless, from impatient to patient, from lesser to greater. But we have to realize: it happens slowly over time. Here’s another possibility, even better than just accepting slow progress. Let’s embrace it. You see, our culture tends to look at time as a thief who steals away our youth, worth, mental acuity, and energy. Our progress to become rooted and built up in Jesus, strengthened in our faith (Colossians 2:6). The growing ability to bear fruit (the fruit of the Spirit, exemplary living, glorifying God to others)–even into old age (Psalm 92:14). Becoming “oaks of righteousness, a planting of the Lord, for the display of his splendor” (Isaiah 61:3). Oh, I like that last verse especially, don’t you? And it can happen through slow and steady perseverance, with God as our guide. We are always a work in progress. God is never finished teaching us. And that makes me happy. Like the acorn sometimes it takes time for us to just get it!! Amen, Laura. You are so right: the fact that God never stops teaching us is a matter to celebrate, not get discouraged about. There’s always more to learn and enjoy about our awesome God and our life with him! Psalm 92:14 AND acorns………two of my favorite promises. Your words make me smile, Nancy. So glad I could make you smile, friend! I think the quote is Trust the slow work of God. But I did smile at your words and agree at times I do wish I were more like bamboo and less like the oak. What a wonderful illustration this post is. Could be a gift book or a bookmark idea…. Oh, I like that quote. It treats God’s slowness (by our standard) as just matter-of-fact. That’s the way he chooses to operate most of the time; no need to take it personally! Thank you, Jean. This reminds me that God has given man a ‘free will’…to choose to make a mistake here and there…to learn from our mistakes…to reset our compass in the right direction with His guidance and our obedience to that ‘still small voice’ of the Holy Spirit within us. Just as a baby doesn’t jump out of the womb and immediately begin running…so it is with our spiritual journey. We don’t like watching a baby struggling with that first step, falling down, getting bruised, etc. Neither does Christ enjoy watching His children struggle and suffer…but He in His infinite wisdom wants us to learn, grow, and choose His Will for our lives…and share our growth and experiences with others. Wise and beautiful insight, Cheri. I especially appreciated your thoughts about watching babies struggling with their first steps, compared to Jesus watching us struggle. He ALLOWS the struggle so we learn, grow, and choose his will for our lives. How true. As always, thank you for your thoughtful comments!